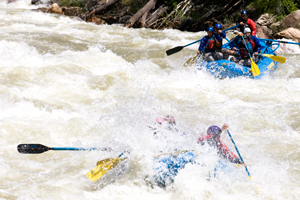 The most spectacular and unique Class IV-V whitewater rafting in the world! 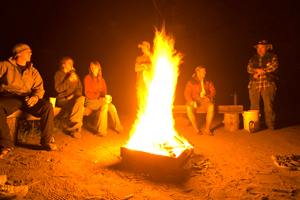 This trip combines both the Silverton and Needleton Stretches and one night at our wilderness camp next to the river in the heart of the Weminuche Wilderness Area. The trip ends with a ride on the historic Durango Silverton Narrow Gauge Railroad. This whitewater gem in the rugged wilderness has two distinct sections known as the Class III Upper Box and the Class IV Lower Box. 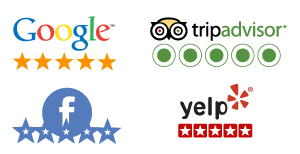 Both trips are good for beginners and adventure seekers alike! 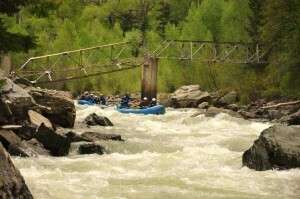 A couple of weeks ago I rafted the Silverton section of the Upper Animas with Mountain Waters Rafting. The entire trip completely took my breath away. Even the shuttle up in the morning was spectacular. The water was incredible and the rapids were intense, challenging, and thrilling. Even though I knew that No Name and Ten Mile were class V rapids, on the trip I was not afraid like I had been a couple of days before. The way my guide handled every situation and talked me through each rapid made me feel like I could conquer any whitewater. And we did! Every rapid went extremely well, with fun drops and big waves. Literally all the views made me stare; everything was so beautiful. 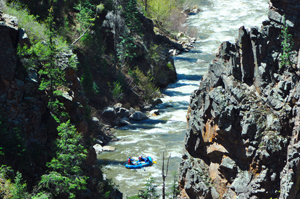 Mountain Waters Rafting does an amazing job of taking care of each client, especially on trips that are more dangerous like the Upper. Not only are the guides extremely experienced on the water, but they are all very familiar with Colorado and it’s history. 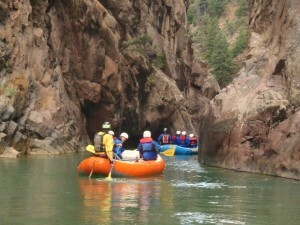 On the trip I learned more about Silverton, the San Juan Mountains, and rafting in general. This made the beautiful trip even more worthwhile. The train ride was also perfect; gorgeous views of the river and plenty of time to relax after such a challenging section of whitewater. I would say this trip is absolutely worth every penny.